"Dear Carmen, i work with your company on a regular basis. Anabel and Trini take very good care of making sure all goes smooth and I have received very nice feedback from clients on several of your drivers. Keep up the good work and have a nice evening, Sandra." "We have just returned from our holiday and i wanted to thank you for the transfers you provided. The drivers were most helpful,helping with the mobility scooter and were very reliable,on time both ways. Thank You." "Dear Malaga Transfer! I would just like to say thank you for the excellent service you provided us on our recent visit to Spain. All the transfers we had booked were perfect. I will definitely recommend your company to any friends or family and will use your company if we return to the area for another holiday in the future. Thank you! Kind regards, Carla Hale." "Hello - I just wanted to let you know how impressed we have been with Malaga Transfers. We had a wonderful welcome at the airport in a lovely car and the driver was waiting for us in the agreed place today for our transfer home. You have really taken the hassle out of the holiday for us and we will definitely be using you again next year and recommending you to others. Thanks again. Zoe Elston." "Good Morning. Many Thanks for your excellent service on both journeys. I look forward to booking with you again for my next visit to Spain, Best Regards. Maureen Irwin." "Dear Colleague, Just a quick to say that we were very satisfied with your service. Your driver's were very courteous and we would recommend your service to our friends. Mr Damany." "Dear Carmen. Thank you for confirming receipt of my payment. I have been very happy with the professional service you have provided me and my family over the past couple of years which is why I have made this booking for my parents. No doubt I will be booking with you again next year. Kind Regards, Philip." "Thanks Anabel, Everything was excellent. Especially Daniel. All grup loved him. The minibus was very good and comfortable. Certainly, we will recommend you,to our friends. Have a nice days.. Adios." "Thank you for your very efficient service when picking us up from Malaga Airport and also the return journey. Both drivers were extremely courteous and helpful. Will certainly be using your company in the future, Regards." "Hi, I would like to thank you, for an excellent service .Special word for the drivers who were pleasant, smart,and prompt.Hope to use malagatransfer again soon.Kind Regards Patricia Morgan." "Hello, I just wanted to a say a big thank you for your excellent service, all pick ups went like clockwork and both drivers were well presented and very friendly. I will definitely use your services again and recommend to friends and family. Many thanks." "Hello, i was thanking your team for the service they provided to us on our visit we found the staff to be very pleasant and helpful and the bus was spotless we would be recommend your service to all our friends and family if they ever choose to go to malaga. Susan Brennan." "Hello Anabel and the Malagatransfer team. 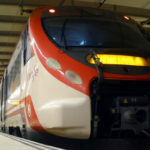 I have recently returned from Malaga Spain and for the first time used Malaga transfer. I would just like to say how impressed we were with the service, it was professional and very efficient and I will definitely recommend malagatransfer to friends and family who are visiting Spain. We will also be returning next August so look forward to booking with you again for 16th August 2014 same requirements. Kind regards, Lesley Hurst." "I would just like to say thank you for the very efficient and friendly service that you gave to us on our recent holiday to Estepona. I will have no problem recommending your company to other travellers. Regards Jane Whiteley." "Dear Malaga Transfer, I just wanted to say that we have just come back from Spain having used your company for two different return transfers and we were extremely impressed with the service - the cars, the greeting at the airport, the drivers and the punctuality. We have been flying into Malaga airport for years but it's the first time we've booked a transfer and we will certainly be using you from now on! With best wishes Melanie Gipson." "Just a quick e-mail to say thanks for the friendly welcome and excellent service from both drivers." "I would like to thank you for the service provided from and to Malaga airport on our recent trip. All aspects of the service provided were excellent. Your staff were courteous and helpful and the charming Lady who met us at arrivals was thoughtful enough to pick up local English papers to inform us about local Events. We will definitely use Malaga transfers on our next trip, your prices compared very favourably With other providers. My parents travel regularly and I am trying to persuade them to use a transfer service and not collect a hire Car at the airport. Do you provide any discounts for frequent use? Again many thanks for your excellent service. Caroline Smith." 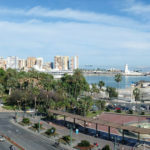 "Carmen, For the 2nd Year in a row we have used your Company to collect our group from Malaga Airport and bring us to La Jabega Apartments in Fuengirola. Once again I would like to thank you for your great service and the ease with which the transfers take place. I have recommended your Company to anyone that I know who is travelling to Malaga and is looking for a reliable company. Regards, Angela Quinn." "Hi. I just wanted to say thanks for the efficient service we have arrived home in England. I will be recommending your business here in England if anyone I know is flying to Malaga. Thanks again, Viv Dennis." "Good morning, i would like to take this opportunity to thank your company for the recent transfer to and from Malaga airport. Both drivers were courteous and friendly, I would have no reservations in recommending Malagatransfer to anyone needing a taxi from Malaga,once again thank you. Regards, Michael Lyttle."